To get started, enter the answers to these questions into the calculator. More details are provided in the spreadsheet. What is your company’s gross sales revenue target for the fiscal year? 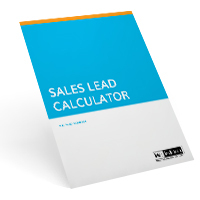 What percentage of your sales should come from marketing leads? What is the percentage of sales opportunities your company will win? What percentage of your inquiries (marketing responses) will become qualified leads? What response rate do you expect? What is your expected cost per marketing contact (touch)? 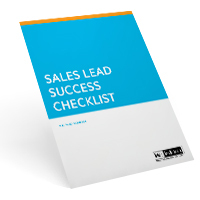 How many salespeople need to receive leads from marketing? Improving your marketing return on investment and B2B sales model will get better results and help increase your marketing budget. Calculating ROI on advertising campaigns is also covered.